Hey all, looking to unload this to a Bricksetter for what is hopefully a fair price. I think this will cost me at least $20 to ship to most people. Box has minor damage from being shipped to me a box that was too small. I'd rate its condition at a solid 8.0 or 8.5, for those people that hold box condition to be paramount. Item comes from a smoke-free home. I'd prefer to keep this USA-only, but if someone overseas with reputable feedback wants this and is willing to pay for proper shipping, I will gladly cooperate. Someone took it upon themselves to inform me that $175 is too steep. I don't quite believe that, when glancing at recent eBay sales. However, I will drop the price to $170 shipped to help expedite a sale. Someone here will be getting a solid deal. Not to derail, since the forum rules say no pricing commentary on marketplace selling threads, but it's interesting to note: This particular set looks like it sells for a much higher price on eBay than it does on Bricklink, to judge from the Brickpicker data (eBay actual-sales-price data) -- http://www.brickpicker.com/bpms/set.cfm?set=7946-1 -- I'm guessing that's because soccer-mom picks it up for Billy on eBay, while the collectors know that much better deals can often be had on Bricklink. We need a good FAQ-style post on "How to Figure Out a Fair Price for a Lego Set" for both buyers and sellers, especially since we seem to get a fair number of miscellaneous consumers who come to the forum trying to figure out what they can sell Little Bobby's Used Lego for. Possibly accompanied by "How to Buy Lego at a Good Price" FAQ. ^, ^^, if you actually look at the price guide, you will see that the cheapest set being sold on BL in the US is $148 plus shipping, so $170 shipped is pretty close to the lowest price on BL. It's a fair price for a sealed set that is hard to find. I would rather buy from someone on here than on bricklink and especially eBay. Ebayed one for $180 plus shipping beginning of Nov, so @Odindusk is asking a very fair price. 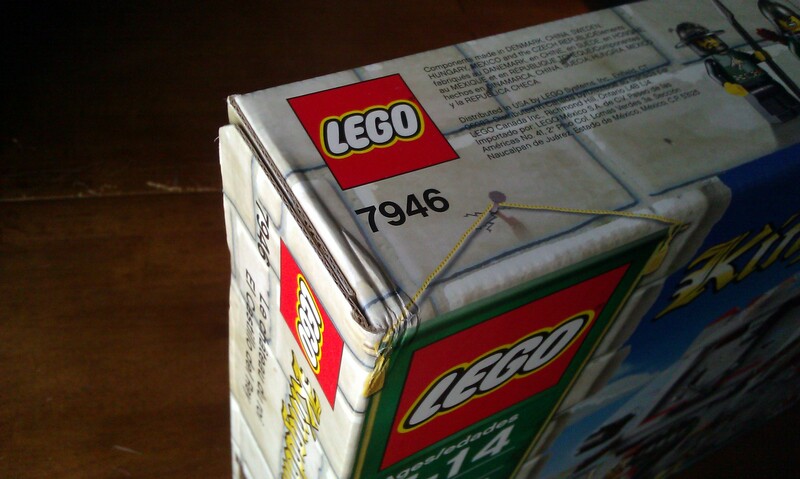 That $148 on Bricklink easily could have $22+ in shipping added to it by the time you buy it. I found mine on ebay for $100 plus shipping minus the box. It came with everything else, the instructions were not damaged in any way what so ever. A couple of days before this I was at BrickCon in Seattle and the venders there were asking about $140. I also found it on Chowren toys for $185+ shipping. I tried to make a deal with Chowren for the BL price and then another offer for the vender price and it was a no go. As far as I know Chowren still has this set as the auction listing expired with out it selling. 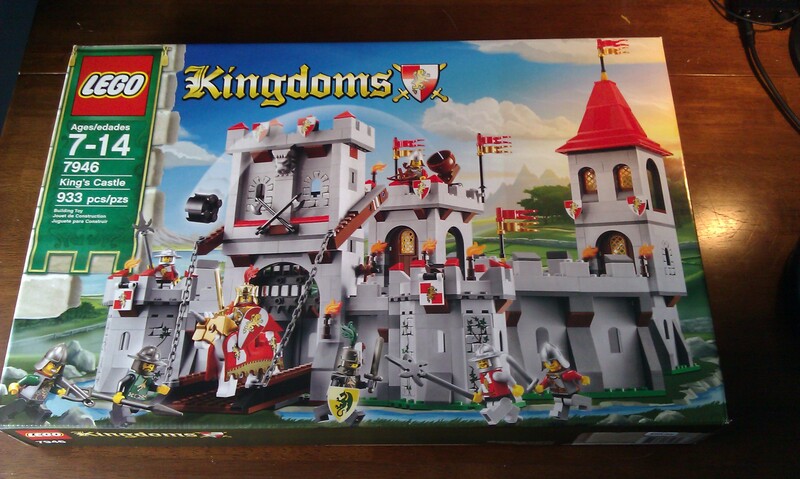 I have been watching this set on E-bay and have found the auctions that actually sell end up going in the $120-$140 range and there is several BIN listings of the castle for about the price the OP is asking. I'm generally happy to pay a reasonable price to get a good item from a good seller. Thanks for the kind words, everyone! I am never out to gouge anyone, that's for sure. I looked at some eBay data and saw a few instances of this set selling for $20-25 more than my asking price. I figured with the Holidays in full swing, someone in this community may have desired this set. I'm not a huge fan of this Kingdoms line so I am willing to let it go. If/when I sell this for that $170, I can expect to pocket what...$140-ish after shipping and fees? I hope that's viewed as a modest profit considering I had to pay $100 and store it for several months. Alright, last bump. I'd really prefer to sell to a Brickset member before I take it to eBay. $165, shipped in the USA. Lowest I am willing to go! I'll give it roughly 24 hours.